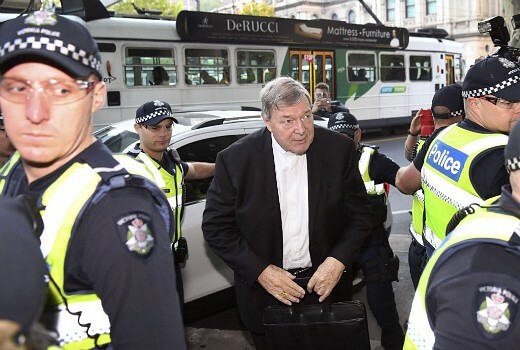 Lawyers representing 23 journalists and 13 media organisations have asked for more information around contempt charges surrounding alleged breaches of suppression orders in the trial of Cardinal George Pell. Media lawyers Justin Quill and Matt Collins QC represented the 36 in Melbourne’s William Cooper Justice Centre today. Among those facing contempt charges are News Corp publications, Nine Entertainment Co, The Age, the Australian Financial Review and Macquarie Media. None of those facing charges appeared at the first hearing. Collins said he could find no precedence for similar charges and penalties in Australian law. Prosecutor Stephen O’Meara QC expressed frustration that the defence had waited until today’s hearing to ask for more details about the allegations and accused Collins of being “slightly underprepared” for the case. But prosecutors have agreed to a more comprehensive statement of claim, which will be provided to the court by May 20. The case will next return to the court on June 26.